The rattan shown by Oggetti is sourced from Mindanao in the Philippines. Rattan takes five years to fully grow. Today, with a greater understanding of sustainability, rattan is being heavily re-planted as trees are being cut. All Oggetti models are made and torched entirely by hand. The only machines involved are for the initial cutting and peeling of the rattan. The rattan pole is usually cut in the beginning into 2-6 pieces. 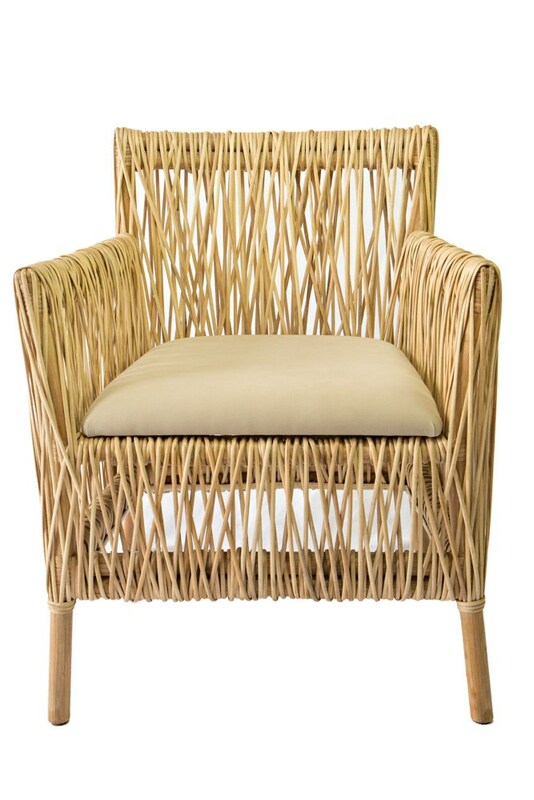 Rattan is a perfect natural material for furniture because it is extremely versatile. It is light but extremely strong and pliant. Through manual torching It can be bent into various shapes and will retain that shape. Also rattan accepts stains and paint well. Rattan furniture utilizes a very small carbon foot print. The material is sustainable and helps reduce dependence on timber resources.